A good friend of mine got married down in Huntington Beach, CA last weekend and since I’ve never been down to the LA area I decided to make it into a nice “mini-break”, as Bridget Jones would say. My husband and I spent Fri thru Sun at the Hilton Waterfront Beach Resort in Huntington Beach and it was Ah. Maze. Balls. (Hey Hilton, feel free to send a gift certificate our way, we’d stay again! LOL!). I don’t know if I’ve ever had a vacation where I just sit by a pool relaxing in the sun with some drinks and some snacks for a couple days. Now I understand why people go down to all-inclusive resorts in Mexico! 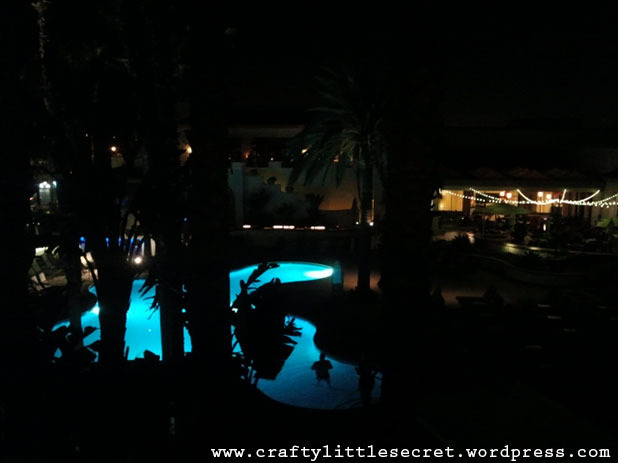 The view of the pool and bar at the Hilton Waterfront Beach Resort from our balcony, our first night in Huntington Beach, CA. 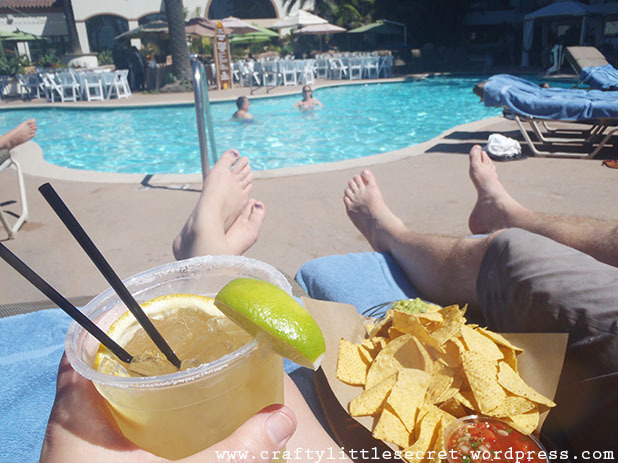 Margaritas and chips by the pool. All day. Yesssss. 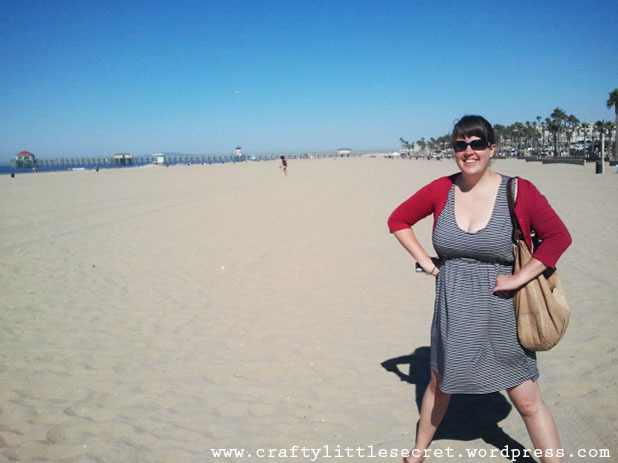 Sporting a me-made dress in Huntington Beach!!! My husband had to head back to San Francisco for work Sunday night, but I stayed on with two girlfriends for a couple more nights and headed up to LA. 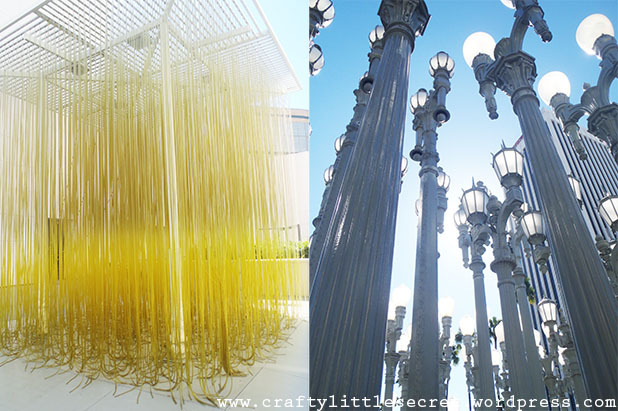 We tried to get a little culture and wandered the grounds of the LA County Museum of Art (LACMA) checking out the exhibits. 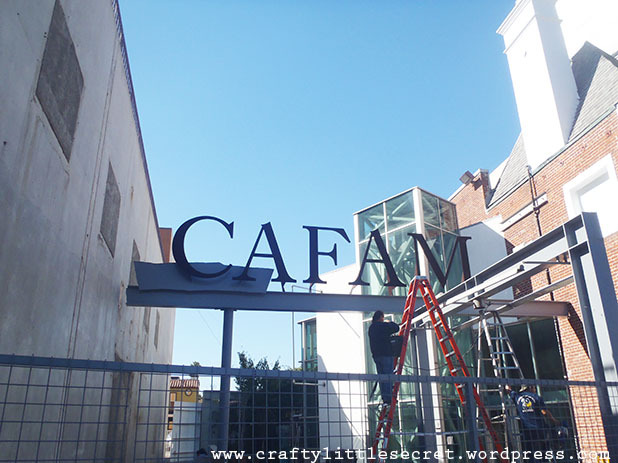 We wanted to check out the Craft and Folk Art Museum (CAFAM) but it’s closed on Mondays!!! Whaaaaa! Mega bummer. It may have been for the best though. We peaked through the window of the gift shop and there was tons of amazing stuff in there so I probably wouldn’t have been able to resist spending some moolas. 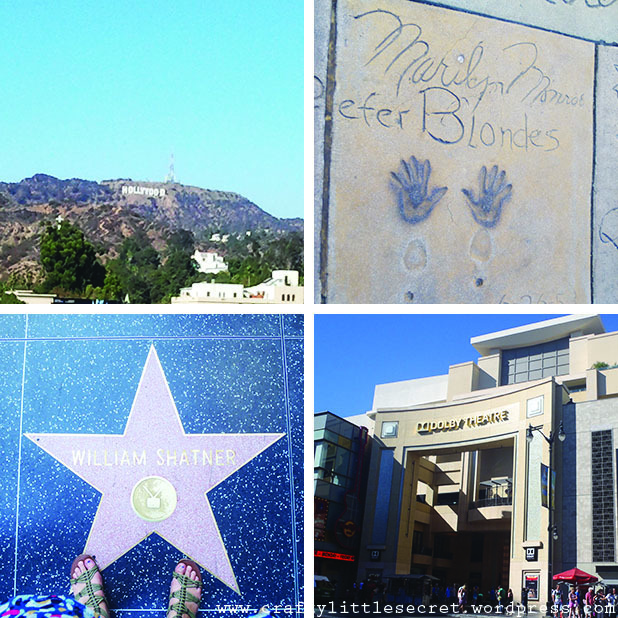 And of course, seeing as it was my first time in LA I just had to go to Hollywood!!! 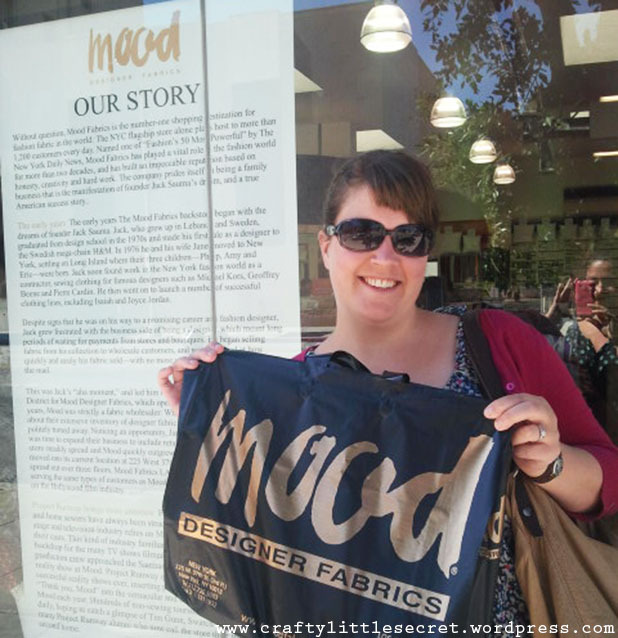 But the highlight of the trip for me, and the most relevant to this blog, was our trip to Mood Designer Fabrics!!!! So exciting! 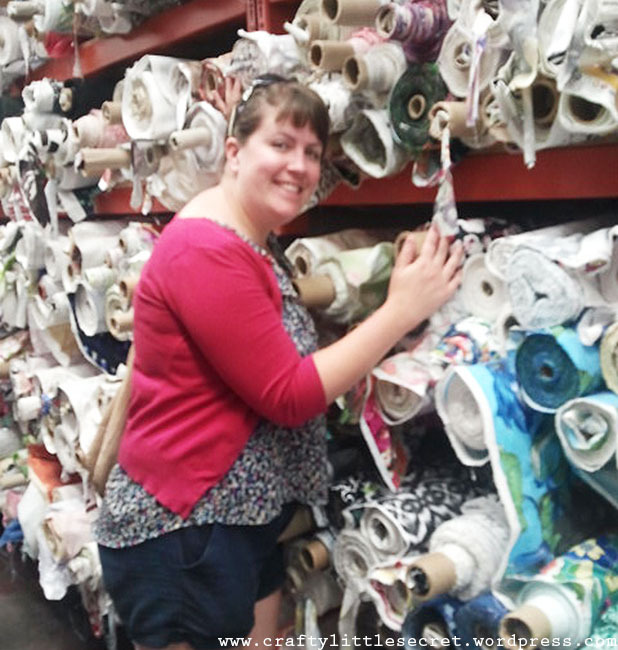 It was a huge warehouse style building just crammed full of gorgeous fabrics. I really wish that I had made a plan before I went in there as I actually felt a bit lost! 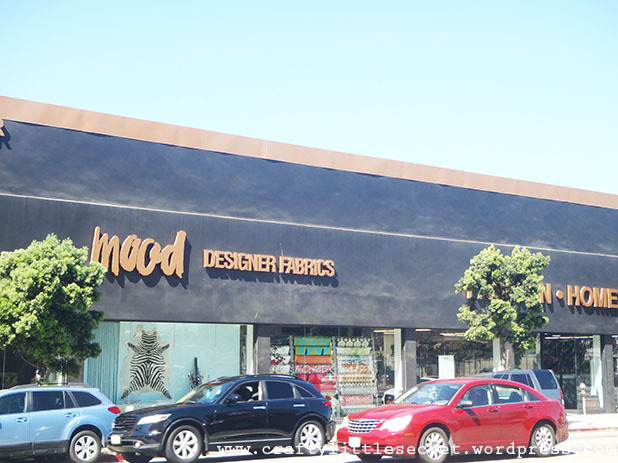 The most impressive part about Mood LA to me, was that they offer a ton of free workshops and free work space! Whaaaat? That’s awesome!!! Don’t let it’s ugly exterior fool you, that’s just what LA looks like. After reading about Vicki of Another Sewing Scientist‘s stash of textiles she purchased while traveling in Southeast Asia, I thought that buying fabric as a souvenir sounded like a fabulous idea!! 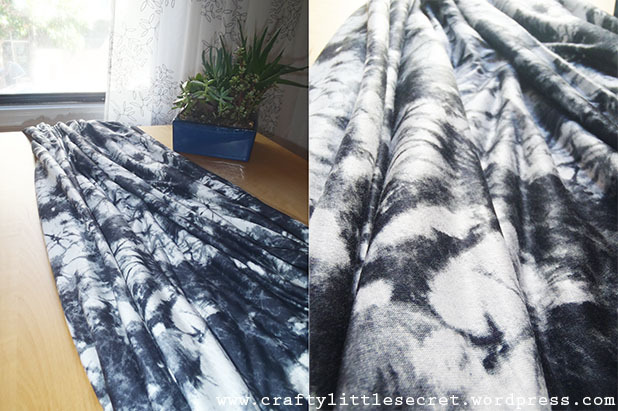 So here’s my purchase from Mood on my LA trip – 3.5 m of a super silky feeling lightweight cotton jersey that I think is just dying to be made into a maxi dress! I had a fabulous time in LA! So….Thank you, Moooood!!! 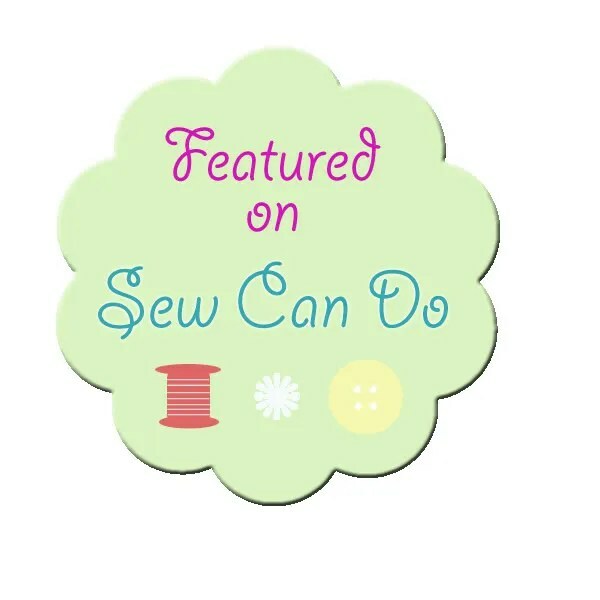 This entry was posted in Crafty Little Vacation on October 7, 2013 by missphd.